Did you know the kitchen and bathroom are the rooms where we most often listen to the radio! Music in every room ltd are specialists in providing audio solutions for the kitchen & bathroom. They are the UK distributor for the popular KB Sound range of radios which are completely hidden in the ceiling and controlled by a remote. The KB iSelect offers FM and crystal clear DAB radio channels with up to 80 pre-sets. 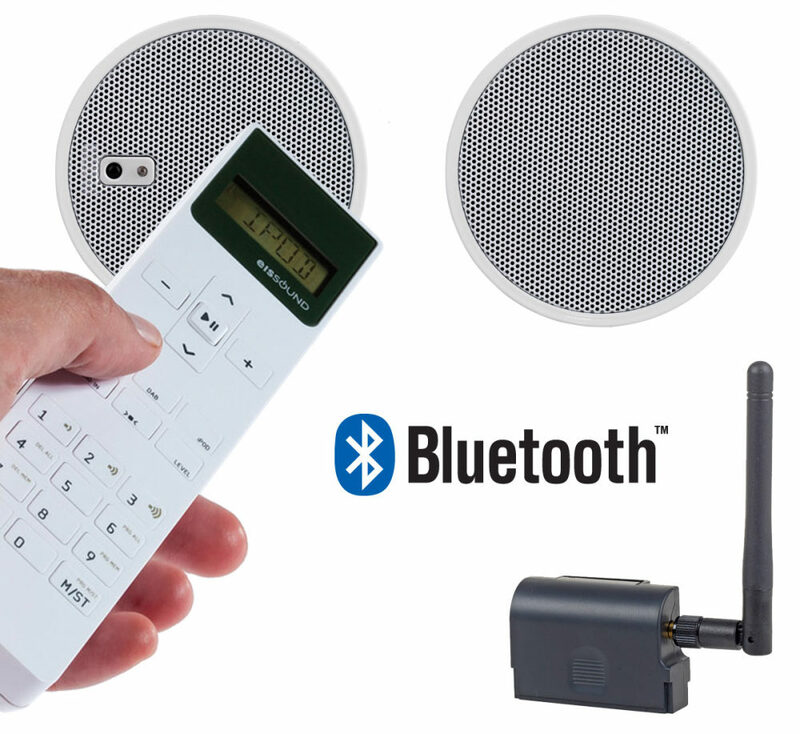 You can add Bluetooth and stream your music from any Bluetooth enabled phone or pad. For the bathroom there are small downlight speakers in either white, nickel or chrome. In the kitchen the larger 5” and 6” speakers provide power and bass for the larger room. KB Space also provides a great solution for the larger, open plan Kitchen/Diner. KBiSelect—-the “almost invisible” audio partner for your kitchen or bathroom! It has FM and crystal clear DAB radio and built in BLUETOOTH, allowing full streaming of your favourite music from your phone or pad. Two built in speakers provide a crisp, bass heavy and balanced sound. Motion activated LED lights provide a brilliant clear display, ideal for shaving or cosmetics and its heated to prevent misting. The LCD displays mode—(FM, DAB, Bluetooth), radio station text, date and clock. From a fully waterproof remote you can set FM & DAB presets and 6 equalizer tone settings. It also has an auxiliary in, allowing you to link and play from your home audio system or maybe improve the sound quality from your bathroom TV. The mirror is easily installed and can be wall mounted or fully recessed.